Despite the name, the Pro Epic Tournament has likely never seen professional tournament play. 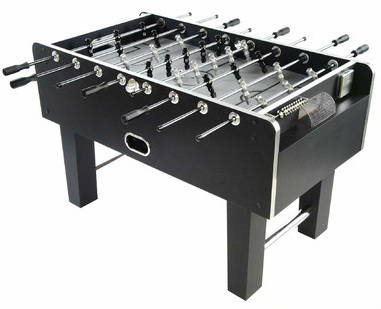 It is the best table made by the Voit manufacturer, but doesn't offer the supreme ball control that tournament players require to perform passing and toe shots like the snake shot. It does offer a surdy cabinet design, side ball return, and a great look.